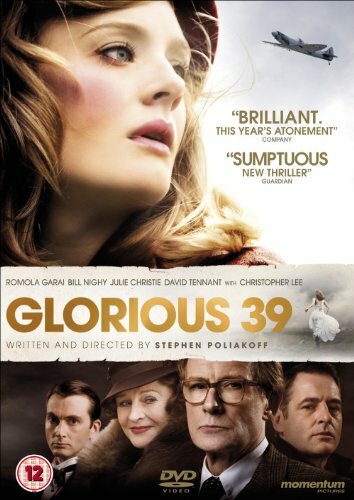 Set on the eve of World War II, Glorious ‘39 is a gripping story of the aristocratic Keyes family and their determination to preserve their traditional way of life at any cost. As Britain teeters on the brink of a war that threatens to shatter everything that is sacred, the family faces the ultimate test of loyalty and love. The story centres on Anne, the eldest, adopted sibling who is deeply in love with Foreign Office official Lawrence. Anne’s carefree and cosseted life is threatened by her chance discovery of some mysterious and sinister recordings. As close friends die in suspicious circumstances, she finds herself swept into a web of dark secrets and increasing danger from a powerful and menacing enemy. With her most precious certainties destroyed and unable to trust even those closest to her, she comes to realise the full extent of her own betrayal and vulnerability. 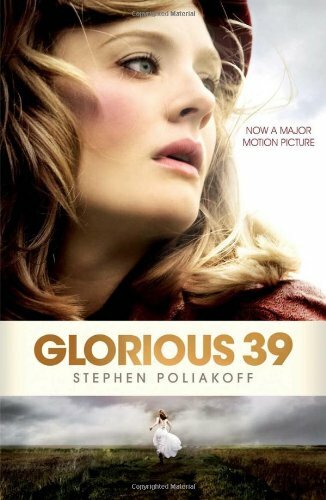 Set against the backdrop of Prime Minister, Neville Chamberlain’s movement to appease Hitler, Glorious ‘39 is a tense psychological thriller that powerfully dramatises the effects on one family of Britain’s inexorable slide into war. Vividly shot by cinematographer Danny Cohen on evocative Norfolk locations and in some unusual parts of London, the film features a particularly strong cast which includes Romola Garai, Eddie Redmayne, Bill Nighy, Juno Temple, Julie Christie, David Tennant, Christopher Lee, Hugh Bonneville, Charlie Cox, Corin Redgrave, Jeremy Northam and Jenny Agutter.